How many guides are there out there when you add hunting, fishing, rafting, hiking, horseback riding, photo tours, cycling, and nature walks? How many jobs are there when you add all the equipment needed to participate in these activities? How many people do these activities on their own, spending money and traveling the world in pursuit of their passions? Outdoors people are a force in and unto themselves. When we are fighting for conservation or preservation, this is something that we have to remember. Every time a crag closes or wilderness is lost, there is an impact on recreation and recreation dollars. President Obama has made it clear that job creation is, and must remain, front and center for his Administration day in and day out. With that in mind, I traveled to New England this week to highlight the economic power of outdoor recreation and tourism to create jobs. Hunting, fishing, and outdoor recreation contribute an estimated $730 billion to the U.S. economy each year. And one in twenty U.S. jobs are in the recreation economy – more than there are doctors, lawyers or teachers. More than 12 million Americans hunt; more than 30 million Americans fish; and three out of four Americans engage in some kind of healthy outdoor activity. Many small and large businesses in New England are also key drivers of the outdoor economy. A store like LL Bean is a shining example of how a home-grown business can fulfill the American dream. What started almost 100 years ago as one man’s idea to sell a waterproof boot to hunters has grown into a company that today employs 5,000 people and generates 1.4 billion in revenue. The businesses I visited this week -- including L.L. Bean’s headquarters in Freeport, Maine, Bibens Ace Hardware in Colchester, Vermont, and Eastern Mountain Sports near Portsmouth, New Hampshire -- demonstrate the power of outdoor recreation to create jobs and spur economic growth in communities both in New England and across our country. When we invest in conservation and encourage people to reconnect with nature, we aren’t just investing in the land, water, and wildlife we love, but also in our economic future. The American Alpine Institute will be launching its monthly newsletter later this week. If you like what you read on our blog, what you find on our twitter account, and what you see on facebook, you'll love this! To sign up for the newsletter, please click here. Mammut is celebrating its anniversary with the biggest peak project in history: 150 teams will be scaling 150 mountains around the world. The year of mountains started in August with an ascent of the Jungrau in Europe. Mammut is promoting this as the biggest peak project in history. When I mentioned this at the office, we were hard-pressed to come up with many companies that have been in continual existence for 150 years. Though I have little to back this up, I would suspect that Mammut is the oldest climbing related company operating. To learn more about Mammut's peak project, click here. A few weeks ago we showed a somewhat extreme BASE-jumping video. We received a handful of emails after that video about basejumping. We are sorry if we offended anyone by saying things like, "BASE-jumping is a fringe sport." Or "BASE-jumping is googly-eye crazy." Or for saying that BASE-jumpers are "absolutely nutso." We know that people say those things about climbers too, and we know that those comments just not true. But we also know THAT WE ARE RIGHT ABOUT BASE-JUMPERS!!!! I mean, I'm sorry if I offended anyone. Especially you, Tom. Tom Dancs is a former AAI guide and an all around great guy. Tom is a major proponent of BASE-jumping and has lobbied to change the rules in order to allow BASE-jumping in national parks. I had the pleasure to work with him once or twice while he was here and know for a fact that he's not crazy. It must just be the rest of those basejumpers. They're the adrenaline freaks...! Or maybe I'm stereotyping, like others do about climbers. Anyway, enough about my thoughts. Tom was recently featured in an excellent film on BASE-jumping entitled, "Right Here, Right Now." Enjoy! Right Here, Right Now from Crest Pictures on Vimeo. Most leaders will do one of two things at the top of a route. They'll either build an anchor and lower off or they'll bring up a second to clean the route. It makes a lot of sense to bring up a second if you're going to continue up a multi-pitch line or if it isn't possible to rappel off. In essence the leader who is stationed above the climber is working at a top-managed site. He is belaying the climber from above and is not top-roping. Most people only belay from above after they have lead a climb, but there are a number of situations where it is advantageous to actually top-rope from the top of a climb. Acadia and Ouray are both popular places where many routes require top-managment, climbers literally have little to no choice in many parts of these parks. Acadia is a climbing area situated on a series of sea cliffs. One can only access the crags by lowering down or rappelling down. Ouray is an ice park in Colorado. All of the routes are accessed from the top and most people lower in and then climb back out on a top-rope. Most places don't require a top-managed set-up like the preceding examples. But there are many advantages to managing a crag from the top. There is no chance that rocks or other debris will strike a belayer or another climber below. This is particularly nice in ice climbing. In Ouray, it is common for climbers to lower one another into a canyon to climb back out. There are very few people at the base that might be hit by falling ice. There is fifty percent less rope in the system. Less rope in the system allows for less elongation in a dynamic rope when a climber falls on a top-rope. This is a great advantage if there are a lot of ledges on a climb that someone might twist their ankle on if they take a short dynamic fall. If a climb is over a half of a rope length, it is often easier to manage the route from the top than to deal with two ropes tied together. This provides you with the ability to easily monitor the anchor system. Smaller loads are placed on the anchor than in a traditional top-rope set-up. In a traditional set-up, the physics of the system make it so that both the climber and the belayer's weight are on the anchor whenever a climber falls or is lowered. Occasionally, the bottom of the crag is dangerous. Perhaps you are working on sea cliffs or in another medium that makes the base of the climb hazardous. Numerous crags have parking lots above the routes. In many scenarios the bottom of the climbs are steep and vegetated. In some cases, they are simply hard to access via a trail. If you know any quick hauling systems, it's nice to manage from the top because you can assist a person if they get stuck climbing. If you want to get a lot of top-rope routes in without leading, it may be fastest to top-manage the climbing area. It is difficult to see and to coach the climber that has been lowered down. Sometimes it is also difficult to hear. The climber's rope is more likely to go over edges when managed from the top. There may be more impact on a fragile cliff-top ecosystem. If there are many climbers waiting to climb, it may be more dangerous to manage the route from the top. There is more exposure and more opportunities to make a mistake near a cliff-edge. People are unused to it and often don't want to try something new. The most common way to access climbs in a top-managed situation is for the climber to lower down and then climb back up. Occasionally, a climber will rappel to the bottom and then climb back up, but this is not quite as safe as lowering. Lowering is safer because the belayer can check the climber's knot before he leaves. This blog isn't to say that top-management is better. While it may be better in some situations, this article was actually designed to give you a quick taste of an alternative to regular top-roping. The best way to understand the strengths and weaknesses of such a technique is to experiment. Try top-managing at a crag you are familiar with for a day. 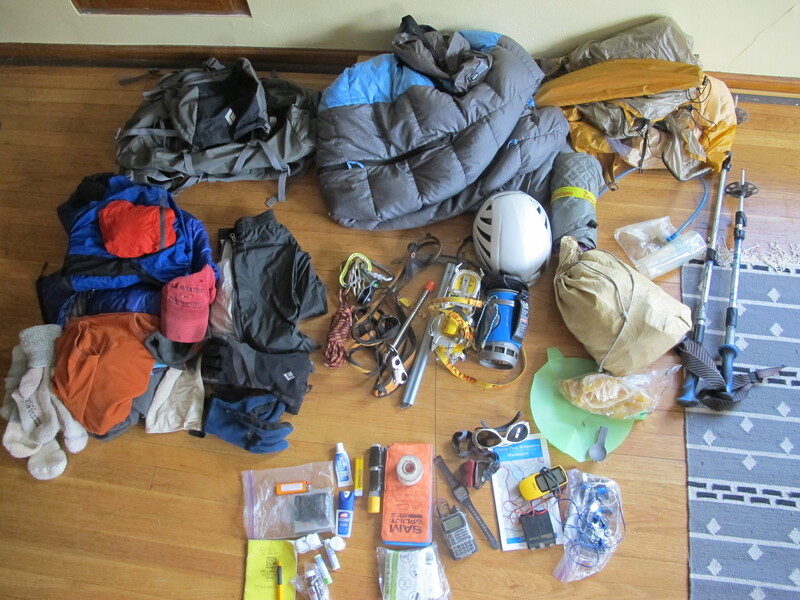 It will be a very educational experience and will definately put another tool into your climber's toolbox. Glacier Peak should be on every Cascade mountaineer’s tick list. While folks averse to walking might complain about the long approach (about 15 miles each way), it is perhaps the most scenic and ecologically diverse that I’ve ever done in the Cascades. Our trip began with a seven mile bike ride up the closed USFS 49 road, since it was temporarily closed due to a miniscule washout. 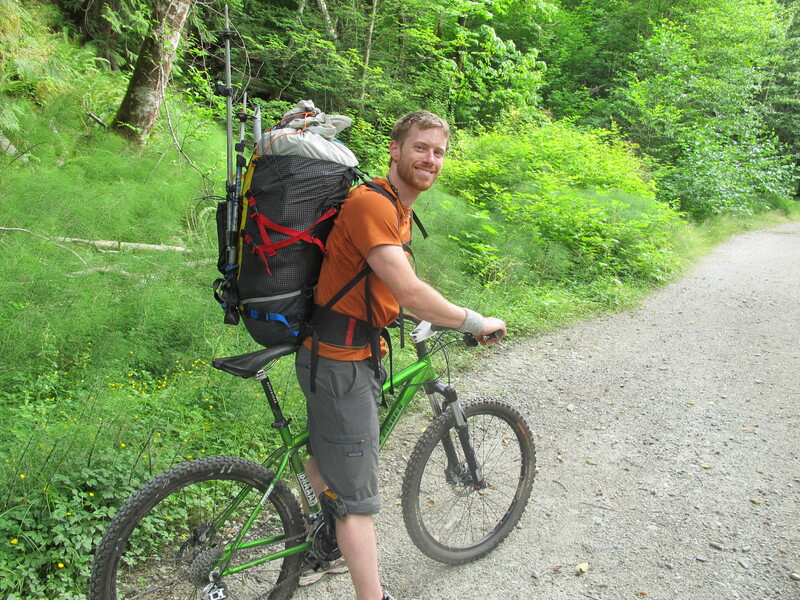 The biking was quite reasonable and went quickly with mountain bikes and pull-behind trailers. Biking up the road. Unfortunately, I didn't have a trailer. 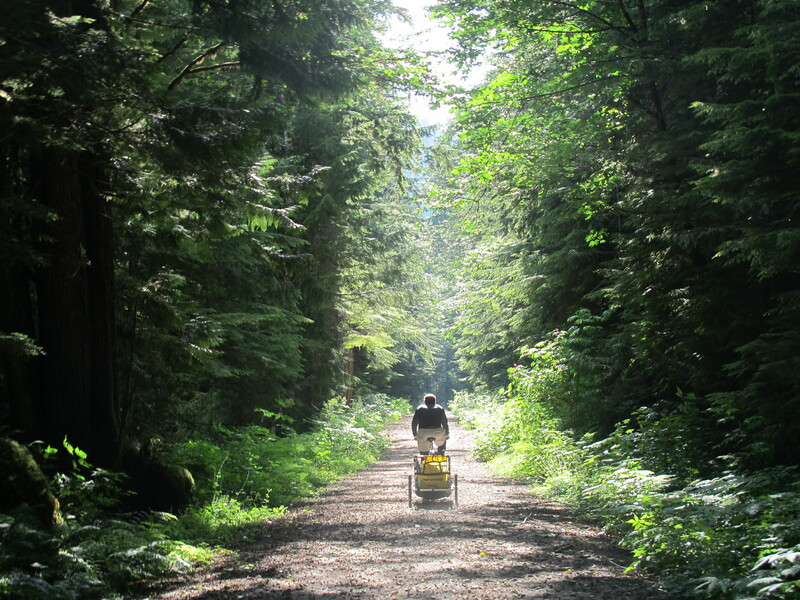 After we stashed the bikes at the end of the road, the hike begin on a well-maintained trail along the North Fork of the Sauk River, wandering through an incredible old growth forest that houses some of the biggest trees I’ve ever seen. We spent the first night camping near the historic Mackinaw Shelter and prepared for an early start the next day. The morning found us climbing up a series of switchbacks in the cool morning air before we gained a long traverse out to White Pass. The wildflowers (Tiger Lily, Columbine, Lupine, Paintbrush, and lots more!) were blooming in the meadows just below the pass and made each turn an exciting proposition. Beyond the pass, the trail was snow-covered and we made our way to Foam Pass and our first real views of Glacier Peak. A couple hours later we settled into a great bivy site near Glacier Gap and prepared for our alpine start. Clear skies boded well for us and in the morning we found perfect cramponing conditions from the very first step onto the snow. The Gerdine Ridge is a better-than-average moderate volcano route. 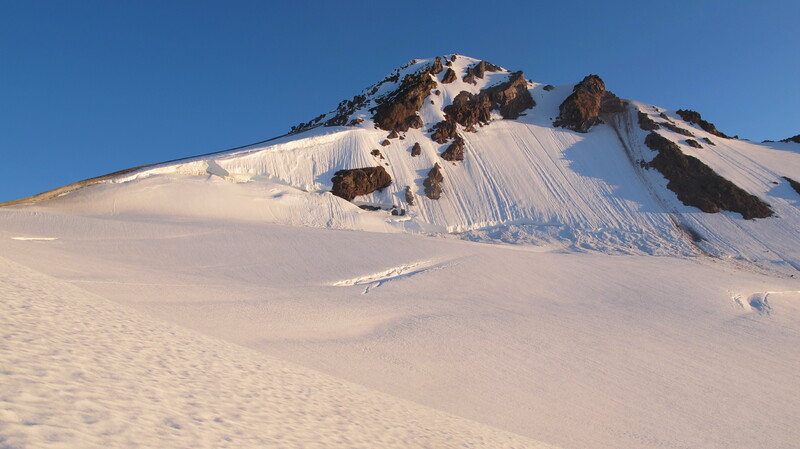 Most Cascade volcano routes are loose and chossy, while the Gerdine is primarily compacted pumice and somewhat solid rock. All of the tedious scrambling sections are easily bypassed to the east on snow, which I highly recommend. Around 8000′, we left the ridge and traversed northeast on the Gerdine Glacier to an obvious col where it intersects with the Cool Glacier. Easy travel on a largely uncrevassed glacier then led to a pumice saddle, which we used to gain the final headwall, a nice 35 degree snow climb, and hit the top in just five hours from camp! The descent back down the route was uneventful and presented incredible views from Mt. Stuart to Mt. Adams to the Olympics. Back in camp, we settled in for a fantastic and warm afternoon of napping and eating in preparation for our early start the coming morning. The hike out was surprisingly fast, even with a couple of detours (I have an inability to walk past granite boulders), and a nice nap at the Mackinaw Shelter. The last half hour of the trip was perhaps the most leisurely of all–speeding down a gravel road with a full backpack pushing you along! What an incredible trip! Back to the car at 30mph! 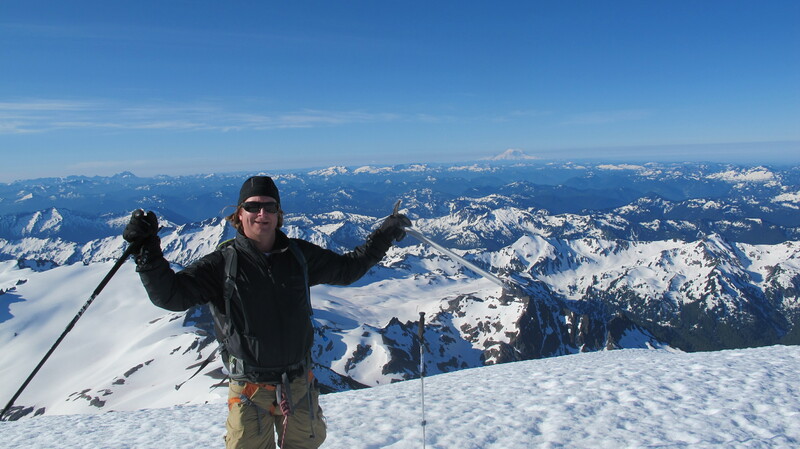 Glacier Peak climbs are offered from late June to August every year. If you would like to learn more, please contact the American Alpine Institute at 360-671-1505. As stated in the past, we love Mike Barter's videos. The Canadian guide is currently doing perhaps the best job at creating instructional videos for climbing...and usually they're pretty funny too! Recently Mike posted a video on ratchets for rescue. One major component of any hauling system in a crevasse or rock rescue scenario is the ratchet. This is essentially the element of the system that allows the rescuer to retain any advantage that he has gained in the rescue. Examples of autoblocking devices include the Petzel Reverso, the Black Diamond Guide ATC, the Trango GiGi and the B52. Each of these devices allows one to pull rope up through the device, but won't allow the load line to release without a few shenanigans...more on the shenanigans in a different post. Also known as the alpine clutch, this quick system is very effective. However, it is extremely important to check that the hitch has been tied properly before using it in a rescue scenario. If you have taken a basic course from the American Alpine Institute, you know that we don't usually teach a means to create a self-minding prussik hitch. In the system that we teach, we leave the prussik cord a bit longer so that the rescuer can mind it himself. This is not quite as effective as either having a pulley that is designed to mind the prussik or a tube-style belay device that will operate the same way. In the video, Mike also quickly demonstrates a way to make this prussik load-releasable by adding a munter-mule into the shelf. A load-releasable system is desirable in all rescue applications. 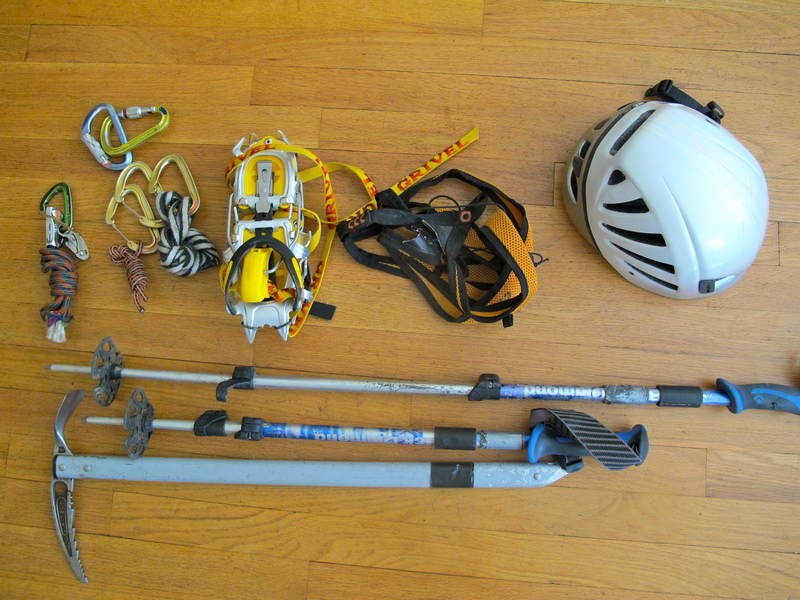 The Petzl GriGri and the Trango Cinch are both highly underutilized tools for rescue. In part, it's because they are heavy, so a lot of climbers don't take them on long routes or into the alpine, but they are very effective. They work as both a pulley and a ratchet simultaneously and are -- by their very nature -- load releasable. Snowmobiles or Human Powered Winter Recreation - What do you want to see? On Friday, August 5th, the Wenatchee World ran an editorial about snowmobiles in the National Forests. The editorial was written by Robert Mullins and Gus Bekker, both of the Wenatchee Mountains Coalition. It has been reprinted here with their permission. Will it be Snowmobile National Forest, or expanded wilderness? What is the reasonable middle ground? 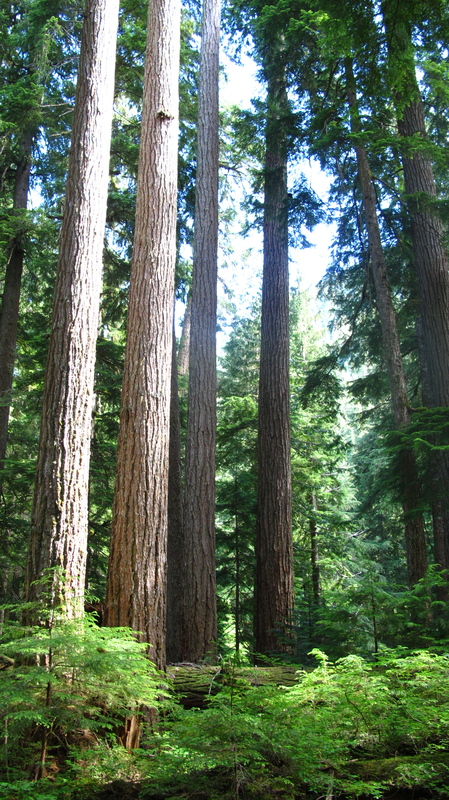 The short answer is, please, U.S. Forest Service, manage the winter forest for multiple recreational uses, in some reasonable balance, in consideration of the impacts to nature, and for all of the public owners of the forest. We are asking that the local Okanogan-Wenatchee National Forest managers designate significant areas for non-motorized winter recreation — an activity of the majority of off-highway winter forest users. We ask also for reasonable management of the single dominant use — snowmobiles, by a relative few in the general public. The accessible areas set aside currently for winter non-motorized use are pitifully small. Most wilderness is inaccessible in winter to most people, although snowmobile riding allows access in some examples. Skiers, snowshoers, winter campers, dog sledders, skijorers, climbers, runners, even snowmobile-assisted ski tourers, seek pristine, safe, snow-covered areas for quiet recreation. The challenge is to find quiet and pristine accessible areas away from the current typical situation of rutted, offroad, snowmobile speedways. USFS Wenatchee Forest management dates back to the days when snowmobiles were ridden almost entirely on roads. The recent advancements of snowmobile technology and horsepower have allowed for the exponential expansion of offroad snowmobile riding in the winter forest. Areas normally ridden now include to the high summits of 5,000-plus feet to 7,000-foot peaks of the Wenatchee Mountains crest, from Mission Ridge to Ingalls Lake, and also across the wilderness boundary deep into the Alpine Lakes. To contrast, in summer, we all expect that when hiking a forest trail we will not see or hear loud, intrusive, motorized vehicles riding all over the offroad areas of the forest, and close to us as we hike (exception are trails legal for motorcycles or ATVs). Why, we ask, has USFS allowed the current snowmobile free-for-all to evolve on the winter forest? Snowmobile riding is great recreation. However, that activity must be managed as are other uses. Cars, trucks, Jeeps, motorcycles, mountain bikes, motor boats, horses, and even camping and hiking — all are managed in regard to where and how they are used on the forest. There has been little or no USFS consideration, planning, NEPA process, EIS, request for public input, not even a formal designation for snowmobile recreation for these currently used extensive areas of the pristine, unroaded Wenatchee Mountains. While snowmobile riding is a reasonable and legitimate activity, it is an activity on the forest that excludes the safe or reasonable quiet pedestrian use of the same terrain. Robert Mullins, Leavenworth, and Gus Bekker, Wenatchee, represent the Wenatchee Mountains Coalition. Robert can be reached at wenatcheemountainscoalition@hotmail.com. Well, seeing as it has finally warmed up here in the Pacific Northwest, I though it would fitting to bring you some good old fashioned deep water soloing action. Nothing says summer like climbing on sea or lake cliffs with nothing to stop your fall but the cool, clear water below. Ahhh, doesn't that just sound refreshing? Here is a little taste of the deep water soloing potential in Vietnam. The islands featured in this video are made for this stuff! A deep water soloing blog wouldn't be complete without a video from Mallorca, that Mediterranean paradise that draws climbers in from across the globe. "I've never used 'em, so why should I start now?" We hear it at nearly every rendezvous before nearly every trip. Many people pride themselves on being anti-trekking pole. And it's not really clear why. 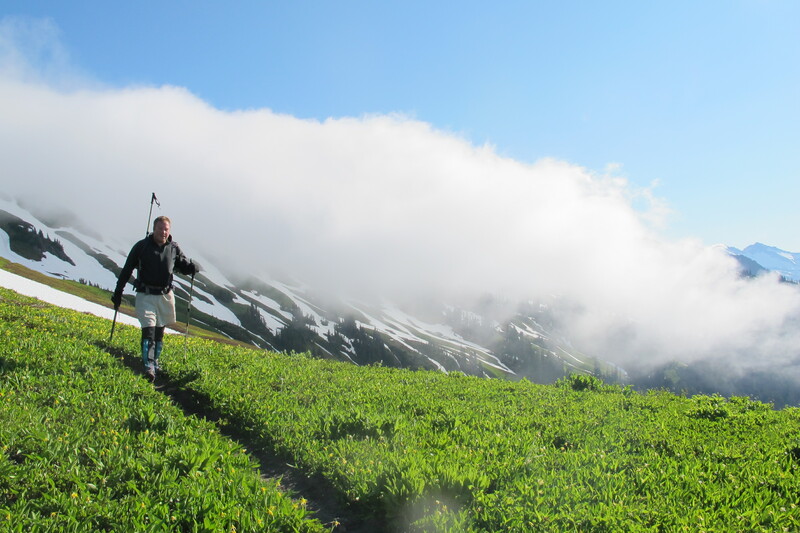 Trekking poles can be your best friend. The use of the poles allows you to protect your knees while carrying heavy loads. They also help to preserve your balance on deep snow or in uneven terrain. Indeed, they provide so much support that I often argue that once you let your guard down and use poles, it's hard to go back to not using them...of course a handful of the stubborn will drop the poles for awhile after being "forced" to use them by a guide. But the value of said poles is so high, that even some of the most stubborn will eventually pick them back up again on their own private trips. 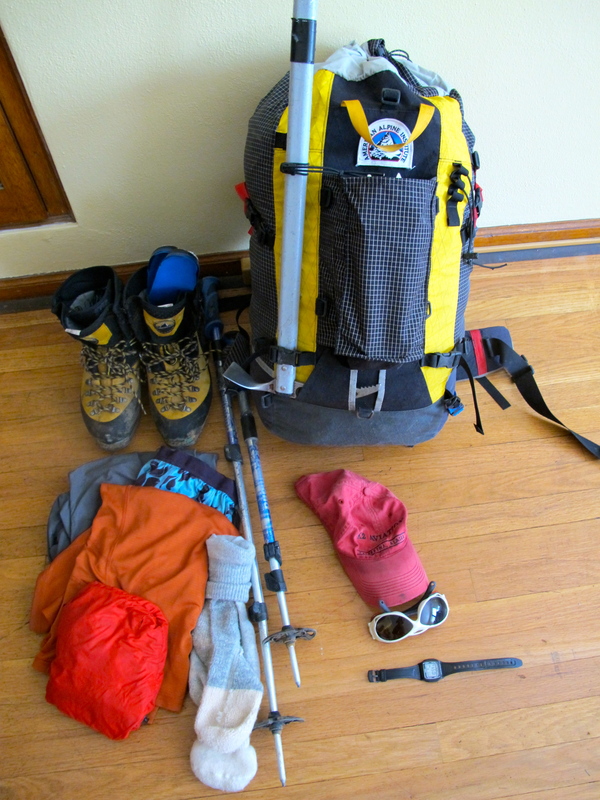 While the advantages of trekking poles are clear, there are two potential drawbacks to them. Both of the drawbacks have more to do with the use of wrist straps than anything else. The first is that if you always use the strap, it is possible to develop tendinitis in the elbow, or tennis elbow. If you only use the wrist-strap when it's possible that you're going drop and lose the pole, then this impact can be limited. Without the strap, people tend to constantly change how they're holding the pole and as such, it doesn't impact the elbow so much. The second potential problem is what's referred to as "skier's thumb." This particular issue is also related to the strap. If you put your wrist into it and allow the strap to run behind your thumb as shown in the picture above, it is possible that a fall will dislocate your thumb. 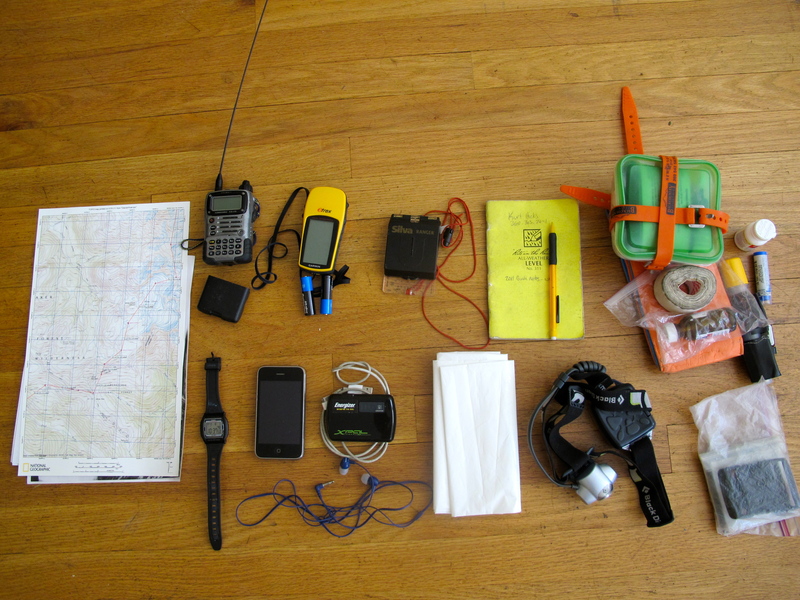 It is incredibly important to wear a wrist leash -- while hiking or skiing -- with it running from the top of your wrist. Here's are some pictures from our Director, Dunham Gooding, the Equipment Shop Manager Richard Riquelme, and Equipment Specialist Jeff Voigt, who are at the Outdoor Retailer Show, in Salt Lake City, Utah. From right to left, Jeff Voigt Guides Choice Program Coordinator, Roody Rasmussen President of Petzl North America, Paul Petzl President of Petzl Europe, Dunham Gooding Director American Alpine Institute, Richard Riquelme Equipment Manager. 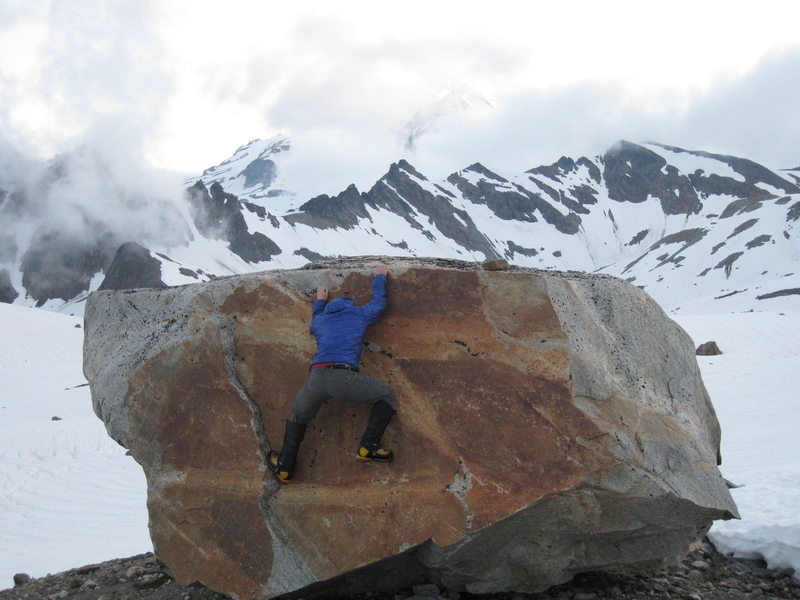 The Sum’tec had it’s place on nearly every ice, or glaciated route that our testers climbed. It’s design allows it to excel in a variety of alpine climbing applications, without making sacrifices to weight or performance. 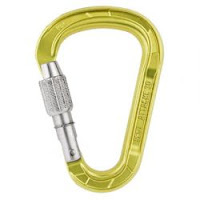 The Attache 3D is an improvement on the highly regarded Attache locking carabiner. The Attache 3D lighter, thinner and has a larger gate opening than the original Attache making it to go-to locking carabiner on AAI guides racks. Christopher J. Lussier, Vice president of sales and marketing accepts the Guides Choice Award from Dunham Gooding. Testers were impressed with how lightweight, warm and compact theXenon Jacket is. The Xenon is a great insulation piece for three-season use. 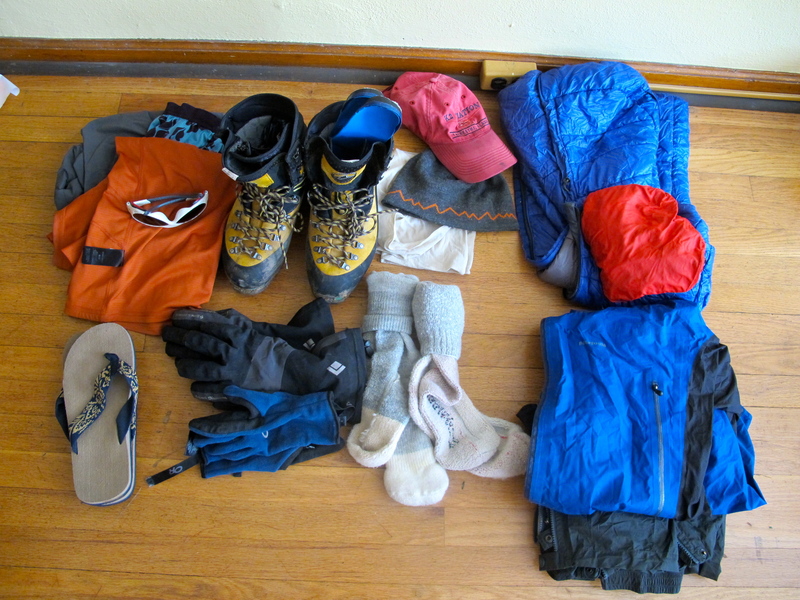 The Xenon sheds snow well; the fit is great for climbing, and it weighs next-to-nothing. Left to right, Jeff Voigt, Doug Jacot, Vice President of Thermarest, Dunham Gooding, Brandon Bowers, Thermarest Product Engineer. The Ridge Rest Solar and SOLite are improvements on the tired and true Ridge Rest sleeping pad. Using a reflective coating on one surface of the sleeping pad, heat is reflected towards the user for use in cold conditions or when sleeping on snow. The Solar is thicker and meant for 4-season use, while the SOLite is thinner and perfect for 3-season use. Left to right, Richard Riquelme, Jason Battenfield CEO / President of Injinji Socks, Dunham Gooding, Jeff Voigt. AAI guides have been testing Injinji’s Outdoor Series socks from the deserts of Red Rock, to the cold and icy slopes of Alaska. Since the socks have individual toes, it provides more insulation in colder conditions, and gives sweat a place to go in hot conditions. Skin on skin contact between toes is eliminated preventing blisters between toes. The American Alpine Institute will present eleven awards to eight different companies at the annual Outdoor Summer Retailer Show in Salt Lake City. The equipment and clothing awarded the AAI Guides Choice designation have proven to be the highest quality in their product category. The awards are determined on the basis of excellence in design, performance, and durability demonstrated in rigorous international field tests conducted by the professional guides of AAI. Evaluations are made throughout the year in the desert, cold weather, rain, snow, high wind and in high altitude environments. 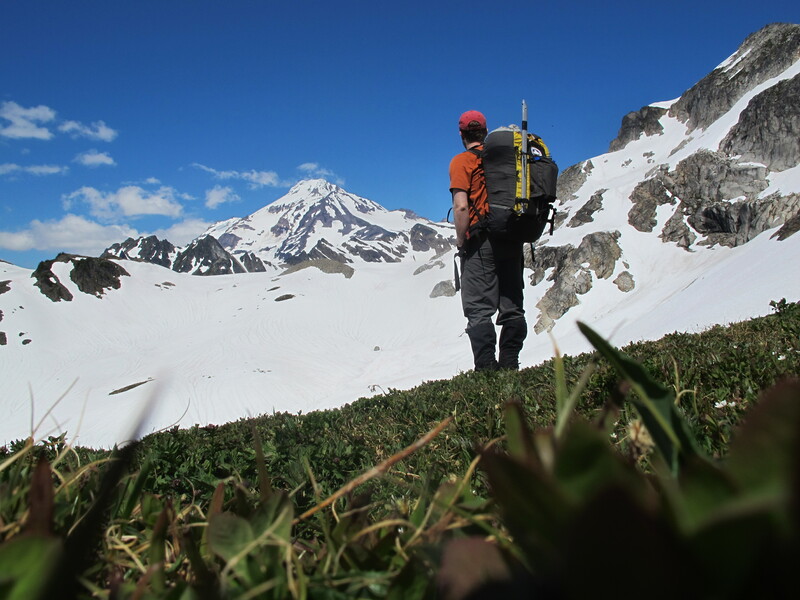 As more and more people venture into the backcountry every year, management of human waste become increasingly important to protecting the health of our pristine wilderness areas. 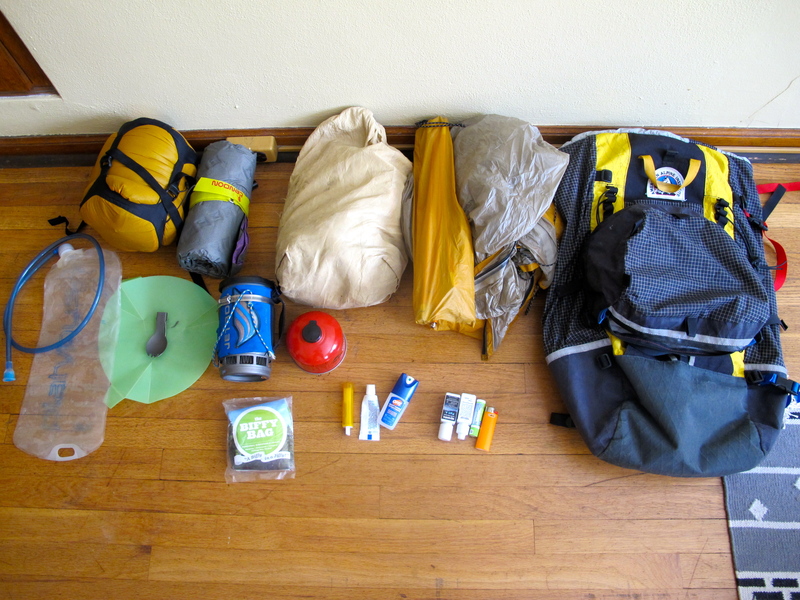 Weighing only 65 grams the Biffy Bag system is smaller and lighter than all of the competitors. Our guides liked that the system is made up of two independent bags, minimizing the possibility of a puncture leading to nasty situation. 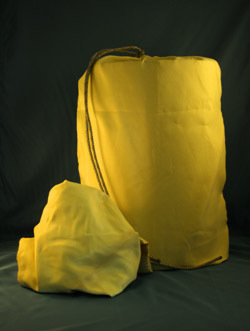 The Biffy Bag is unique because its design allows it to be used easily without a bucket or commode. The user simply ties two straps around their waist, pulls the bag up between their legs while squatting to do their business. 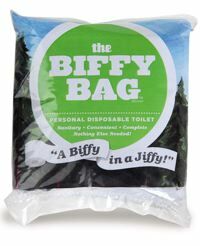 The Biffy Bag kit includes, an odor-proof zip-top transport bag, 1 biodegradable inner bag, an ample amount of toilet paper, Biffy Powder (neutralizing agent) and a sanitizing hand wipe. In many locations it is not bears that you need to worry about getting into your food, but rather the small gnawing critters that like to chew silver dollar sized holes in backpacks, tents and stuff sacks to get at the food you are packing. Our guides found the Ursack Minor to be a perfect solution to keeping their food protected from these destructive little varmints. The Ursack Minor is made of the same very densely woven material used in body armor meant to protect against stabbing from knives. The bag’s closure method is kept low-tech with a specific set of knots, thus eliminating the chance of a buckle closure breaking. The closure cord can also be tied around something sturdy to keep larger rodents from dragging off the entire bag of food. AAI testers have witnessed everything from mice, birds and other rodents trying to chew through the bag with no success. Weighing in at a scant 2.7 ounces and with an ample capacity of 650 cubic inches there is no doubt that the Ursack Minor is the perfect solution to protecting food from critters in the backcountry. Since its debut in 2009 we have taken pride in the Sum’tec for its versatility in different alpine climbing environments. The Sum’tec is equally at home on a glacier slog, as it is on a steep alpine ice climb. 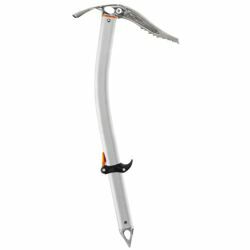 The adjustable Trigrest is easy to slide up to the head so it is out of the way when plunging the axe in the piolet canne on a glacier and can be slid down toward the spike and locked when swinging in piolet traction on steeper ice routes. 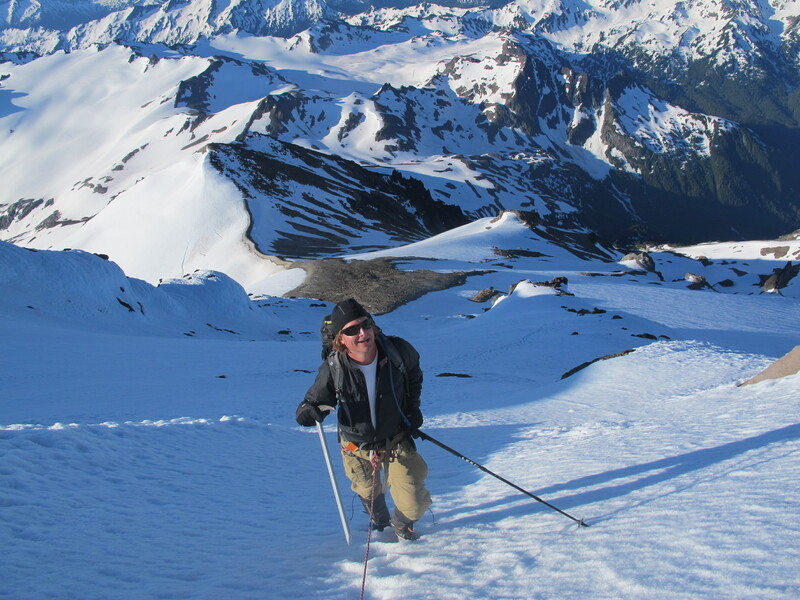 The slight curve in the shaft allows for clearance over ice and snow bulges when climbing the steeps, but isn’t curved to the extent where it creates problems self arresting or plunging the axe while on lower angled glaciated terrain. The Alpix pick can be replaced, so a dulled down pick doesn’t mean the death of your axe. At 485 grams in the 52 cm length the Sum’tec has achieved the fine balance of being lightweight, yet still has enough head-weight to make sinking the pick in harder ice effective. 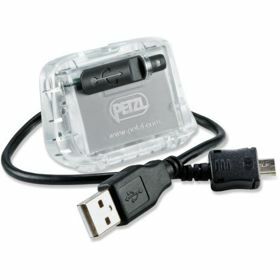 Petzl impressed us all with the release of the Core rechargeable battery. We tested the Core from the bitter cold of Alaska, to the rainy and wet Cascades, and it lit our headlamps reliably the entire way. At only 30 grams the Core is actually several grams lighter than three alkaline AAA batteries. As alpinists we appreciate any weight savings that can be had. Instead of rummaging around for fresh batteries before each trip the Core can simply be plugged into any standard USB charger to top off its charge. The ability to program different brightness and burn times into the Core using Petzl’s OS proved to be another highlight of the Cores features. All in all the Core is lightweight, customizable and keeps lots of batteries out of landfills, so there is nothing bad that we can say about it. Our guides have been using and abusing the Attache 3D since its release in mid 2009. Almost two years later we are still impressed with how light and versatile this locking carabiner is. Despite being trimmed and shaved down in every way to a mear 55 grams, the Attache 3D is still very durable. The Attache 3D is large enough to be considered a munter biner, and can be used for almost all applications in rock climbing as well as mountaineering where a locking carabiner is needed. The keylock nose prevents snags on slings, and gear loops and the gate design is kept low profile to allow for easy rotation around belay loops to avoid cross loading. The gate opening is 2mm larger than the original Attache so getting clipped and unclipped from clustered anchor setups is just a little bit easier. The Tupek provided piece of mind to our guides climbing in Alaska that at any point they could deploy a two-person shelter and escape from the wind and blowing snow within the matter of a minute or two. At 525 grams and the size of a 1 liter water bottle, it was small and light enough that our testers had no problems packing it along on any fast and light ascent that they were doing. 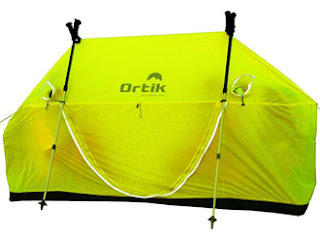 The Tupek can be set up using a variety of configurations including with or without trekking poles, one or two people, and can even be hung from a wall. The floor of the Tupek is joined at the middle with velcro, but can be separated and pushed to the sides in the event that the user is wearing crampons. A small foot well can even be dug in snow so that the users can sit facing each other comfortably. If an overnight bivy is inevitable, two people can stretch out in reasonable comfort reclined against their packs. A door on one side makes getting in and out easy, and multiple vents keep condensation to a minimum inside. When it comes to insulated jackets, the warmth to weight ratio is key. 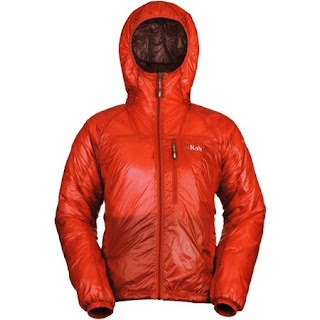 Rab has managed to increase the warmth and decrease the weight with the release of the Xenon Jacket. 60 grams of Primaloft One insulation was more than adequate to keep testers comfortable in the cool times during spring, summer and fall. The Pertex Quantum 10D outer shell fabric is even lighter, and despite the almost see through appearance the newer Petex is actually more robust than previous versions. The Xenon has no problems shedding snow and light drizzle, and blocks out the wind very well. To cut even more weight, the hood is cut to fit close to the head and be worn under a helmet. The hand warmer pockets lack zippers (another weight saver), but there is a zippered chest pocket that doubles as a stuff sack. The combination of being warm, lightweight, and very packable make the Xenon Jacket perfect for cutting the chill while mountaineering, rock climbing, ski touring, and backpacking. Anyone that is plagued with blisters on their toes while hiking will appreciate Injinji Socks. 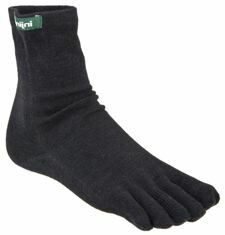 Because Injinji Socks have individual toes the skin on skin contact between the toes is eliminated. Having the toes act as individual units while hiking providing a more natural feel. The fabric between the toes also gives sweat a way to be transported out from between the toes, resulting is a drier feeling. On Denali our guides found them to work really well as a liner sock in their cold weather footwear system. The NuWool material is Injinji’s own merino wool that provides a high level of moisture wicking that allows feet to stay warmer in cold conditions and cooler in hot conditions. One other added benefit is that you can rock these socks with flip-flops! All Jetboil cooking systems are tired and true to being lightweight, efficient, and convenient. 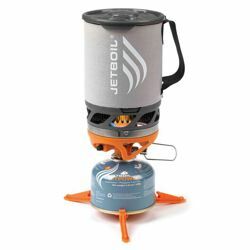 The Jetboil Sol Ti Premium Cooking System is no exception. With a titanium cook pot the system is super light weighing in at a scant 12.2 ounces. The Thermo-Regulate Burner Technology it is even more efficient at cold temperatures allowing the user to consistently boil up to 12 liters of water per standard Jetboil fuel canister. And non of the convenience is lost in the weight dropping or efficiency boosting changes. In the Sol Ti Premium System Jetboil even includes a pot stand that allows the cook to use a normal cook pot instead of the Jetboil mug, if cooking needs to be done for more than one person. The Sol Ti is definitely something that any lightweight gear junkie would love to get their hands on! The Ridge Rest Solar and SOLite are Cascade Designs newest closed cell pad additions to the world of sleeping pads. 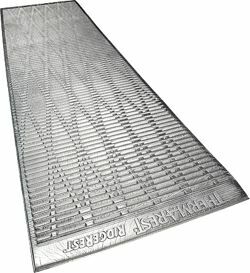 These pads have one surface that is aluminized to reflect body heat back up toward the user. The Solar is slightly thicker at 2 centimeters giving it an R-value of 3.5. This added material and reflective surface kept testers warmer than other closed cell pads while sleeping on snow in cold conditions. 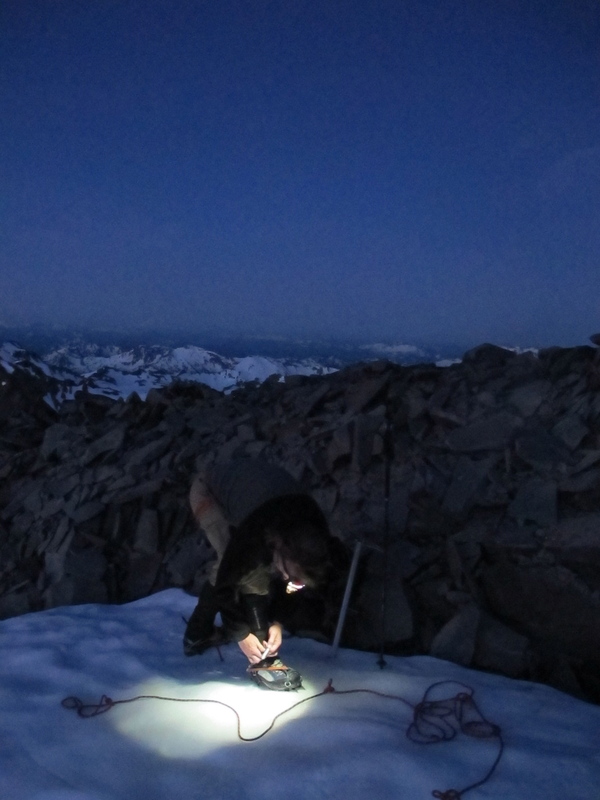 The Solar worked great as a supplemental pad in a two-pad system for high altitude climbing. The high insulation value of the Solar gave peace of mind in the event our testers inflatable pad deflated. The SOLite is the lighter weight version of the Solar. It is a half-centimeter thinner than the Solar, but still has an R-value of 2.8. We found the SOLite to be the perfect 3-season pad for backpackers and climbers who might need to sleep on snow but not in super cold conditions. When these pads are used in warmer conditions just face the reflective surface down, and it performs just like the original tried and true Ridge Rest. ...directly across the street from Red Rock Canyon. Las Vegas residents were able to stop this project from taking place when it first got a foothold in 2003. But things have changed and this project now seems far more likely to go forward. Indeed, ground may be broken as early as 2013. There is no doubt that this project will have an extremely negative impact on climbers, hikers, cyclists, and equestrians. There will be an ugly tract house city with noise and pollution right outside of a federally designated Wilderness Area. Second, you can contact the people who have something to say about this. The ultimate goal is to protect Red Rock, so there are a few things that can be done. They can change the zoning rules to decrease the density of the housing, which would not make the plan feasible anymore. And the BLM can do a land swap with the developer. --The area proposed for development is fully and plainly visible from most places on higher ground at RR, particularly many of the more popular climbs. Development there will irreparably alter the experience. --There are still plenty of other areas around Las Vegas that are available for development if needed. The Red Rocks NRA should be preserved at all costs. --Las Vegas is a tourist town. To damage anything that might bring in tourists is at odds with business interests throughout the city. Third, log onto saveredrock.com and sign the petition. Red Rock Canyon is truly one of the best climbing areas in the nation. Please help us to protect it not just for ourselves, but for the generations of climbers and outdoor enthusiasts to come.